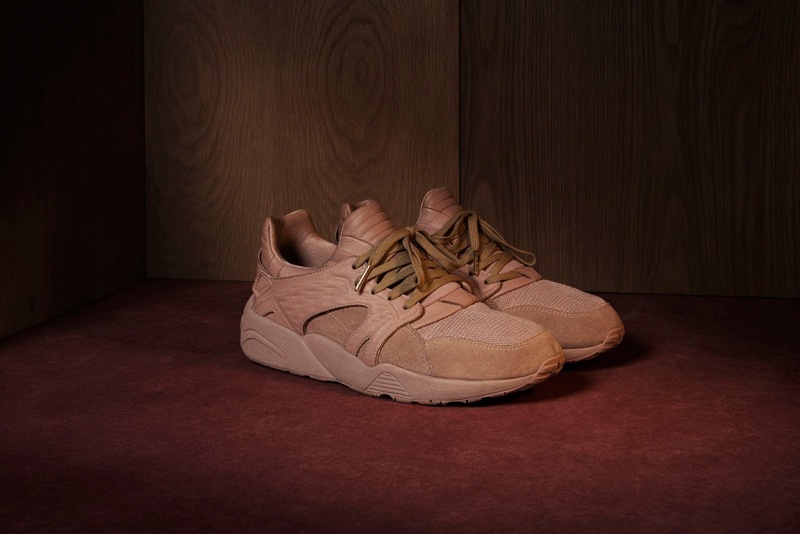 PUMA enlists Danish high-end streetwear brand, Han Kjøbenhavn, as a new collaborative partner for this season. Simplicity and functionality are cornerstones of Scandinavian design, and Han Kjøbenhavn takes them to an extraordinary place. Founder and creative director Jannik Davidsen innovates with contemporary expression and a fondness for his stomping ground of Copenhagen, Denmark. For this collection, he channeled his upbringing, local sports, and suburban architecture for inspiration. The goal was to surprise. Apparel uses unexpected material mixes such as rayon, jersey, and twill. Footwear serves up bright muted colours that are simultaneously fresh and nostalgic. Finally, light, checkered wool pays homage to the iconic trench coats worn at the local football stadium. 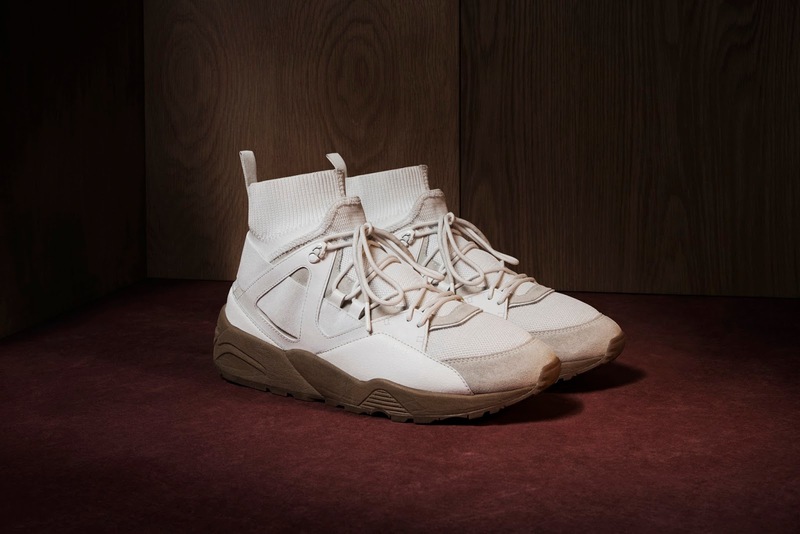 PUMA and Han Kjøbenhavn tapped into both PUMA’s archive and new progressive styles this season, seamlessly fusing sport and fashion. The creative director gives his take on a renowned classic with the PUMA x HAN KJØBENHAVN Clyde Stitched, refreshing the silhouette with whole new look and feel, dressed in premium leather upper that’s stitched to the tooling, adding a touch of sophisticated Scandinavian style. This rendition of the Clyde is all about subtlety wherein the co-branding is visible only on the lateral side, keeping it clean and refined. The collection also boasts of featuring PUMA’s new progressive style, the Tsugi Kori, in a new collaborative iteration. The bold, futuristic style is merged with luxurious materials and muted tones. The upper consists of a mixed of plush suedes and leathers combined with an elongated knitted, sock-like ankle collar all atop the Tsugi tooling. Extending to apparel the collection includes standout pieces made of the premium and luxurious fabrics and materials. The Trench Coat is inspired by the iconic trench coats that once filled Copenhagen’s football terraces, this statement piece features rich wool and clean PUMA x HAN KJØBENHAVN embroidery – a design approach that lets the silhouette do the talking with its stand up collar and regular coat length. With Danish weather and architecture in the bones, HAN KJØBENHAVN spin that inspiration into a sweater with a premium, 3-layer bonded fabric construction with a stand up collar. Contrasted PUMA x Han Kjøbenhavn embroidery and a gold zipper finish this style to a premium piece. Throughout the collection there are a couple of themes, muted colours, and upscale materials. Completing the range is the Backpack that possesses a clean and nostalgic character. Multiple straps allow this versatile silhouette to be worn as a backpack or a shopper. Thoughtful details such as the fleece-lined front pocket and the metal fixture on the strap promise to keep your glasses safe on any occasion. The PUMA x HAN KJØBENHAVN collection is available at PUMA SELECT and selected retailers.